In the late nineteen-nineties Henri and Ilona Timmerman developed a range of niche interior design products. In 2001, they moved from the west of the country to the village of Hummelo in Gelderland, where they opened their Roode Loper homeware shop. Full of beautiful products, including the distinctive flatweave stair runners and rugs by Roger Oates. Due to the increasing demand for stair runners the shop gradually changed over the years, developing into a specialist shop stocking various collections of stair runners. That specialisation was vital as much of the knowledge of stair runners and the complexity of fitting them had already been lost. We wanted to be able to provide the total product, up to and including the installation. We have fulfilled our wish regarding multiple collections and are now able to offer everything in the way of runners. And regarding installation; today we work with a small but very experienced team of highly skilled fitters. 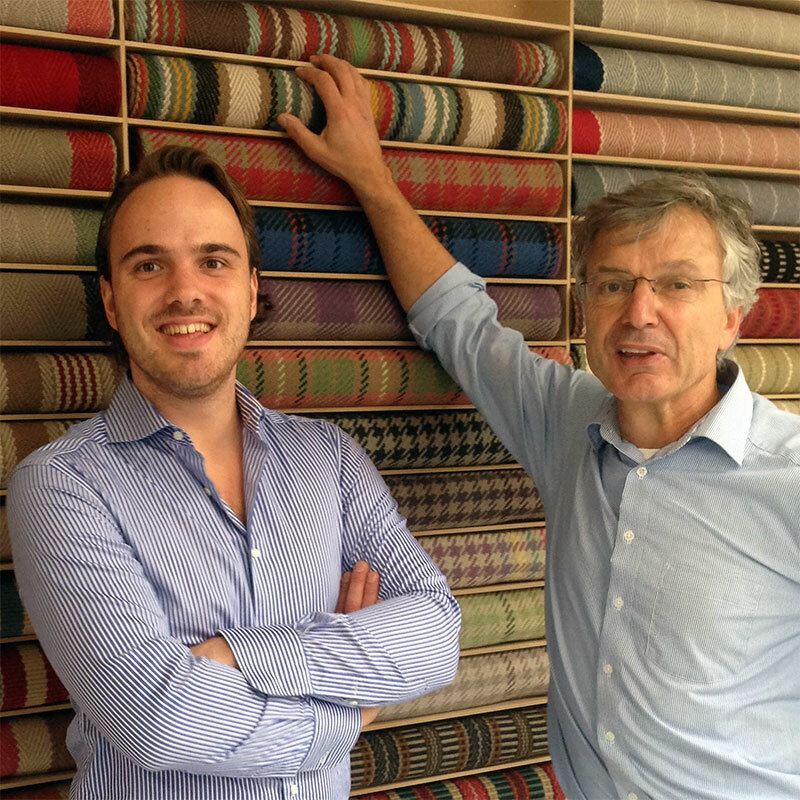 Son Robert joined the company in 2013 and De Roode Loper officially became a family business, with a second shop in Leiden. The third shop opened in Utrecht in May 2017. We are proud of the many fine projects that De Roode Loper and our skilled professionals are able to create and complete.